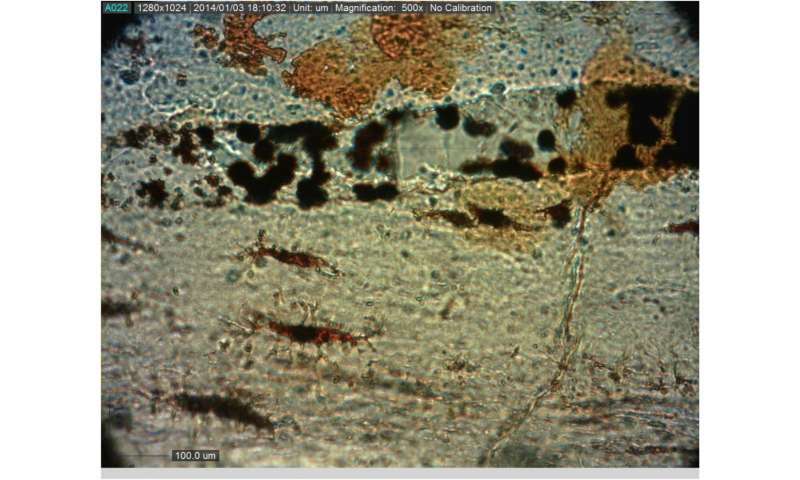 "We have shown the presence of protein preserved in a 195 million-year-old dinosaur, at least 120 million years older than any other similar discovery," study co-author Robert Reisz of the University of Toronto Mississauga, told AFP. "These proteins are the building blocks of animal soft tissues, and it's exciting to understand how they have been preserved," he added. 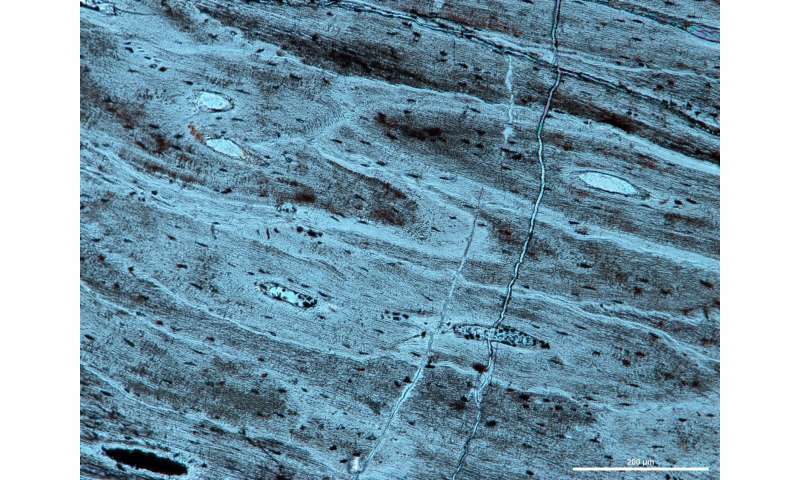 They found evidence of collagen proteins within tiny canals in the rib and concluded they were "probably remnants of the blood vessels that supplied blood to the bone cells in the living dinosaur." "No, that is still fantasy," said Reisz. "Does it bring us any closer to recovering DNA from which dinosaurs may one day be cloned? "No, that is still fantasy," said Reisz." -But some day we will know enough about life, both living and extinct, to be able to analyze remains such as these and reconstruct the DNA that produced it. Which is to say we will be able to recreate the animals they came from. Despite its incredible complexity, life has only so many variations. We will eventually understand all of them. Forms and functions endlessly repeat themselves. And when we look at that rib with those vessels and tissues we will know exactly what code generated them, and what this implies about the rest of the animal. This is one of the reasons aliens would not have to visit us in person. They would already know everything they need to know about us because they understand the potential of our chemistry.